Every year, the Super Bowl leaves a big mark on the city that hosts it. This year in Minneapolis, with the help of more than 65,000 fans, PepsiCo worked to drive up recycling so plastic bottles or aluminum cans weren’t left behind. 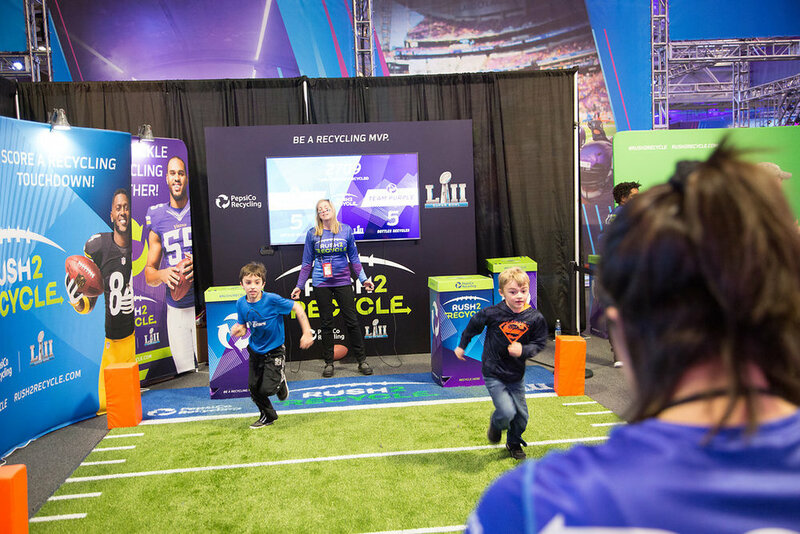 PepsiCo Recycling and the NFL teamed up to increase the amount of materials recycled by putting football fans in the Rush2Recycle (R2R) activation at Super Bowl LII.